Home/Uncategorized/Dance School for Kids – Not Just for Tiffany – It Can Be for Timmy Too! Have your kids have reached the age where they are interested in extracurricular activities? You could do Cub or Girl Scouts. You can sign them up for soccer or Pop Warner or T-ball. Or, you could consider enrolling them in children’s dance lessons. Getting your child or children involved in a dance studio for kids can do amazing things for their self-esteem and your peace of mind! Please see below for some of the reasons to get your child involved in dancing lessons for kids. If you had asked anyone 30 years ago, you would have been lucky to find one dance class for children in a 10 mile radius of your city. Now, you can find dance lessons for toddlers, young adults, teens and adults. Plus there are many types of dance classes all over the city and surrounding neighborhoods. You can enroll your little ones in ballet classes for children, for a touch of the classical. If you want something a little more modern, you can opt for dance classes in Hip-Hop, Aerial or Jazz. The Dance Shoppe offers top quality dance lessons for kids and instructors that will make a lasting impression in their lives. Plus each dance style can be a great learning experience, not only for the actual process of the dances, but for the culture, purpose, and the history behind the dances as well. Getting your kids involved with dance lessons does more than just give them something to do and keep them exercising. There is so much more that they can gain from the experience! Regular dance will keep your children agile and limber, graceful and confident in their movement as they grow into their bodies. It offers them a greater range of motion in their movement, trains their bodies in strength and endurance, and prepares their bodies to retain kinesthetic (or muscle) memory. Dancing promotes your children’s’ psychological health and maturity. It allows them to be able to express their emotions in ways that they would never be able to in simple speech or other action. It also allows them to be much more aware of themselves, both physically and mentally, as they mature and develop. Being in a class with others who are all learning the same thing also allows them to bond in ways they would not have elsewhere. Which leads into their overall social development. Dance trains them to relish and embrace social interactions and cooperation. It encourages communication through both verbal and body language. Additionally, it helps them to understand themselves and others when in group/social situations. So speak to your children about dance classes before you enroll them to see how receptive they will be to the idea. Explore the possibilities for their experiences. Even if you do not end up with another Baryshnikov, your child male or female will gain invaluable life skills in the process. 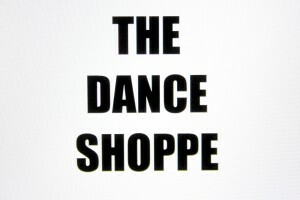 Check out TheDanceShoppeAZ.com dance lessons for kids today! We are enrolling students now!